Greeting cards maker software designs and prints greeting cards in different colors, shapes and sizes. 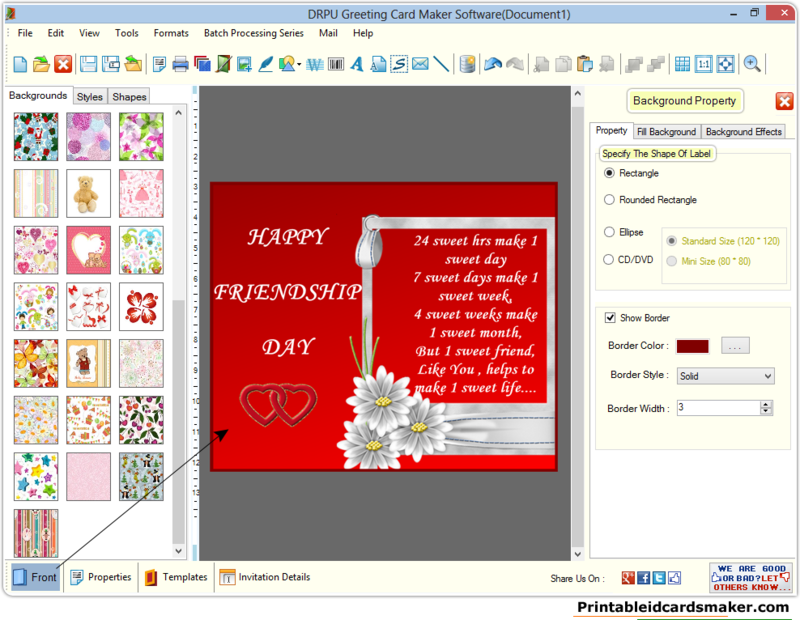 Greeting card creator software is developed with different card designing tools including pencil, text, line, ellipse, rectangle, picture, triangle and star objects to create customized greeting cards. Now you can easily design homemade birthday cards to send your warm wishes to your nearest and dearest friend with this simple to operate greeting card maker software. ★ Designs handmade greeting cards in less time: Greeting card creator software can design and print handmade greeting cards in various sizes. ★ Create greeting cards in different shapes: Greeting card software can design greeting cards in different shapes including rectangle, ellipse and rounded rectangle. ★ Provides flexible printing settings: Greeting card designer software uses inbuilt printing settings to print created greeting cards. ★ Inbuilt color and background settings: Greeting card creator software has inbuilt color and background settings including solid color, gradient, image and style settings to design and print colorful personalized greeting cards. 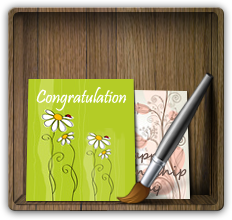 ★ Provides inbuilt various card designing objects: Greeting card designer software provides inbuilt different card designing objects to create greeting cards. ★ Provides facility to create new card or modify existing card: Greeting card maker program provides facility to create new card or modify existing cards according to user requirements.